In the distant past history of this website, I did not review recent movie releases, but instead chose unusual films which I believe deserved the attention of mainstream audiences (so writing about it on my website was perhaps not a good way to do this, but I digress). Films like Princess Mononoke and Chariots of Fire, which are actually extremely popular and mainstream in different places and different times respectively. Legend Number 17 is a biopic about Russian ice hockey player Valeri Kharlamov. Those who are into sports films might recognise the name from a film (also about ice hockey) called The Miracle (which I highly recommend) which was about the US Ice Hockey team’s unlikely victory over the world-dominating Soviet team at the 1980 Winter Olympics in Lake Placid. Kharlamov’s name came up as being part of the much-feared forward line of Mikhailov, Kharlamov, and Petrov. 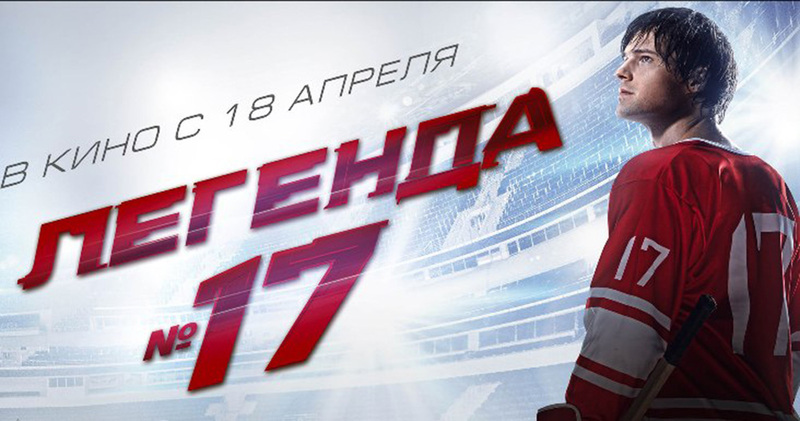 Legend Number 17 is set many years prior to this encounter, during the days when Kharlamov was a young league player and only starting to make an impression on the national team. One of the problems of making sports films is that a filmmaker can’t keep audiences engaged by making them hang on the outcome – sports movies are very predictable. The key is to make it a character study, and then engage the audience with the various relationships between characters. This is done masterfully, first with the relationships between Kharlamov and his best friend in the junior league, as well as his mother, then with the relationship between him and his coach, which eventually takes centre stage. While certainly lacking the polish and production values common to hollywood productions, the look of this film harks back to grittier films like Rob Lowe and Patrick Swayze’s early sports film foray (also about ice hockey) – Youngblood. The film was also made for Russian audiences, and many interesting cultural references are included, including the interfering nature of the communist party itself, the role of family in Russian society, and cultural norms in relation to things like courtship. There are many exaggerations, such as the big, bad, mean Canadian players (real Canadians are generally very polite, almost to a fault), but overall the film stays fairly true to historical events. The game sequences are not quite as good as those in The Miracle, but they do convey the speed and excitement of an ice hockey game very well. Danila Kozlovsky is also perfectly cast as he is a great actor and also bears an uncanny resemblance to the real-life Kharlamov. Ultimately this is a film about a player and his coach. The relationship gets a rocky start, but it eventually becomes very important to both men. There are setbacks… there are MANY setbacks for both player and coach, but they are eventually overcome. It is a bit of a pity that the film stops in the early 1970s and doesn’t make mention of how this young team eventually became a dominant force not just in the world of amateur hockey, but also going on to win over professional all-star teams. Definitely worth a watch, but it probably won’t be at a theatre near you, especially since it was released last year and only in Russia. You might have trouble finding it at your local DVD store too, but you can probably find it online with English subtitles. A great movie for sports enthusiasts, but will also appeal to those curious about Russian culture or teacher-student dynamics.